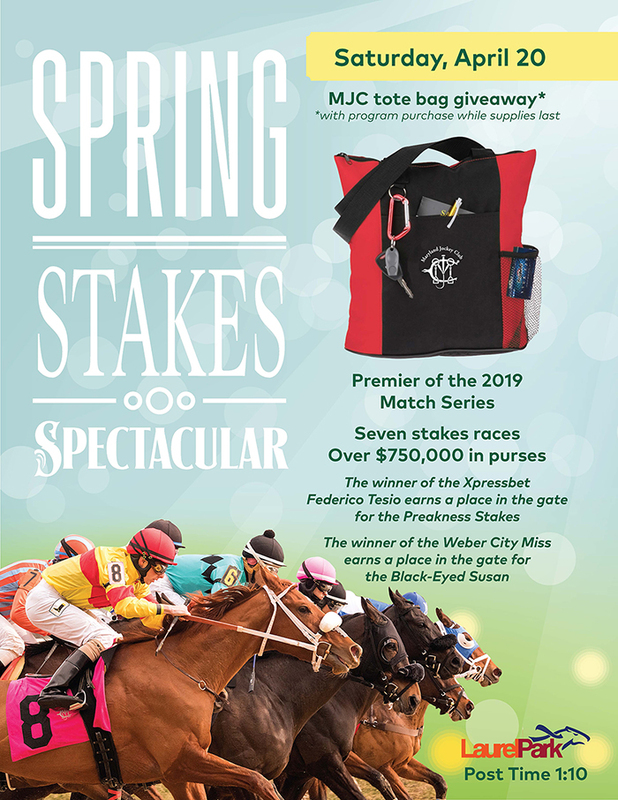 Spend a day at the races for the Spring Stakes Spectacular, the premier of the 2019 Match Series! Watch seven heart-pounding stakes races with over $750,000 in purses. The winner of the Xpressbet Federico Tesio earns a place in the gate for the Preakness Stakes, and the winner of the Weber City Miss earns a place in the gate for the Black-Eyed Susan! Be the first to try Jailbreak’s exclusive Preakness Stakes brew, P.144. You’ll only be able to enjoy this limited edition pilsner at Jailbreak’s Taproom/FoodWorks, Laurel Park, and Pimlico Race Course—so don’t miss it! Receive a MJC tote bag with the purchase of a program (while supplies last).